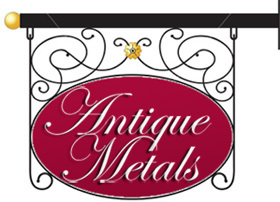 Antique Metals - Bronze Restoration and Repair Samples. Bronze Restoration and Repair Samples. 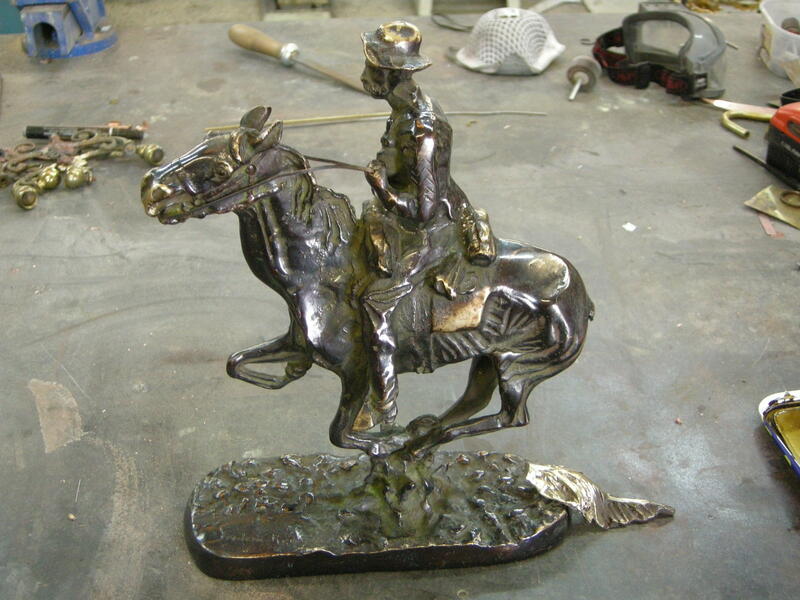 Below are some samples of repairs to bronzes. We can clean and wax, repair broken or missing pieces and re-patinate. Clicking on the images will enlarge them into a new window. 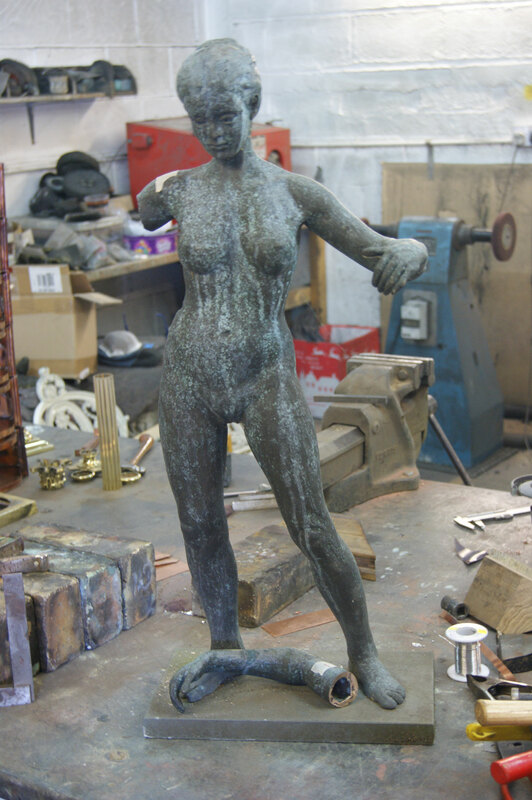 This bronze had its arm broken off, the arm was brazed back on and the damaged area was re-patinated. 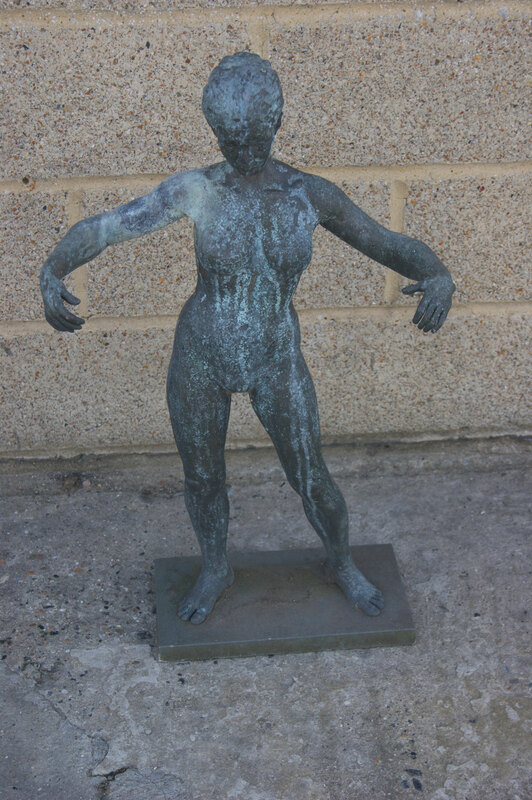 This is another bronze with a broken arm, again it was brazed back on and repaired area re-patinated. This bronze elephant needed a new trunk, it had got broken and went missing. 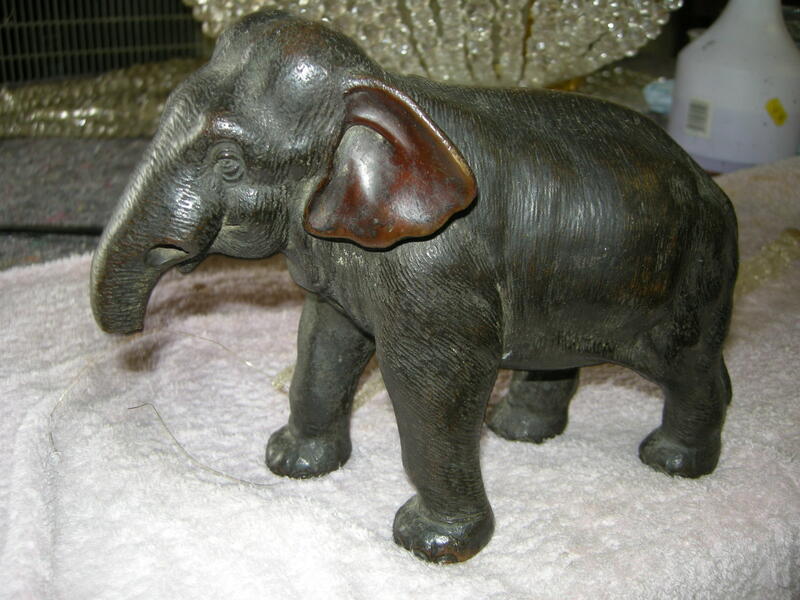 The trunk was modeled and new one cast in bronze, it was brazed on to the elephant and patinated to match the rest. The tusks were missing so we replaced them with ones made of bone. 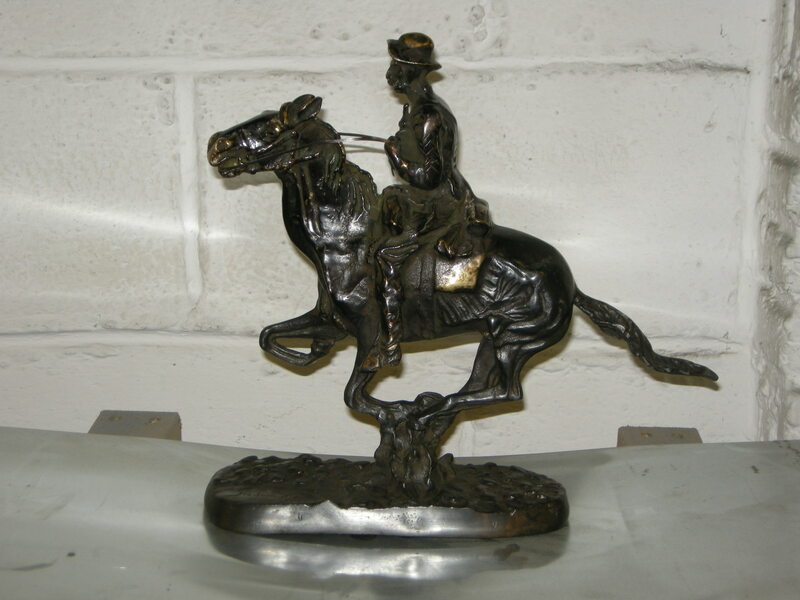 Below is a bronze sculpture of a horse and rider, the tail had broken off and one of the legs had a crack in it. The repairs where brazed and it was re-patinated in the damaged areas then waxed. Below is a small bronze statue by French artist Bouret, it had been painted with gold paint. We removed all the paint to reveal the original patination was still in good condition underneath. It was waxed and sent back to the customer.